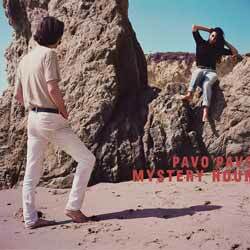 Following on from 2016's Young Narrator in the Breakers, Pavo Pavo release their latest LP, Mystery Hour. It's a diverse and engaging album that reminded me of so many old bands including Chicago and Talking Heads. It's one of those weird albums that you instantly engage with on the first playthrough and then on subsequent listens it's as though you've known and loved it for years. Of the 11 songs (34 min, 30 sec) personal favourites include the trippy infectious '100 Years', the upbeat 'Around Part 1' and 'Statue Is A Man Inside'. Overall this is an album that is full of warmth, depth and plenty of character. It's one you'll enjoy now and still dig out fondly in years to come.